The list of contenders for the 2020 Democratic presidential nomination includes at least 35 individuals expressing interest in running — a huge field. Benjamin Hager/Las Vegas Review-Journal U.S. Sen. Kamala Harris, D-Calif., speaks during a rally hosted by the Nevada State Democratic Party at UNLV on Friday, November 2, 2018, in Las Vegas. While one conservative commentator has dismissed them as “20 smurfs,” there is considerable talent among them and conviction in their belief that President Donald Trump is eminently beatable in 2020. There is already enormous nostalgia among Democrats for the Obama presidency. Former Vice President Joe Biden, 76, may find success running as an “Obama Democrat.” Other former Obama Cabinet members are eyeing the race — his Attorney General Eric Holder, Secretary of State John Kerry and H.U.D. Secretary Julian Castro. Eleven sitting Democrats in the U.S. Senate are thinking of a presidential run, among them Senators Bernie Sanders, I-Vermont, Elizabeth Warren, D-Massachusetts, Kamala Harris, D-California, Cory Booker, D-New Jersey, Amy Klobuchar, D-Minnesota, Sherrod Brown, D-Ohio, and Kirsten Gillibrand, D-New York. Socialist Bernie Sanders, 77, the 2016 runner-up, will be plowing the same “progressive” ground in 2020, along with Elizabeth Warren, 69. But, they will be joined by virtually the entire 2020 Democratic field in a dramatic shift to the left—advocating for “single payer” health care/ “Medicare for All”, sanctuary states/abolish ICE, $15 national minimum wage, and tuition-free public colleges. Senators Booker, 49, and Harris, 54, would represent a generational change for the party. Both were jousting during the Kavanaugh Supreme Court confirmation hearing to be the most woke and most brutal in their performances. Booker will make federal legalization of marijuana central to his campaign. Harris now has the advantage in a changed 2020 Democratic campaign calendar that moves the California primary to March 3 ( largest on “Super Tuesday”) from June, the state’s traditional primary month. That puts the biggest trove of Democratic delegates up for grabs four weeks after the Iowa caucuses. Nevada steps into a new potential “kingmaker” role by holding Democratic caucuses on Saturday, Feb. 22, 2020 just 10 days before the new California primary date. The two neighboring states should be a “package deal” for Democratic candidates. California’s Harris is close to U.S. Sen. Catherine Cortez Masto, D-Nevada. Both are first-term senators elected in 2016. Last year, Harris campaigned with now-Sen. Jacky Rosen, D-Nevada, and contributed $25,000 to the Nevada Democratic Party. 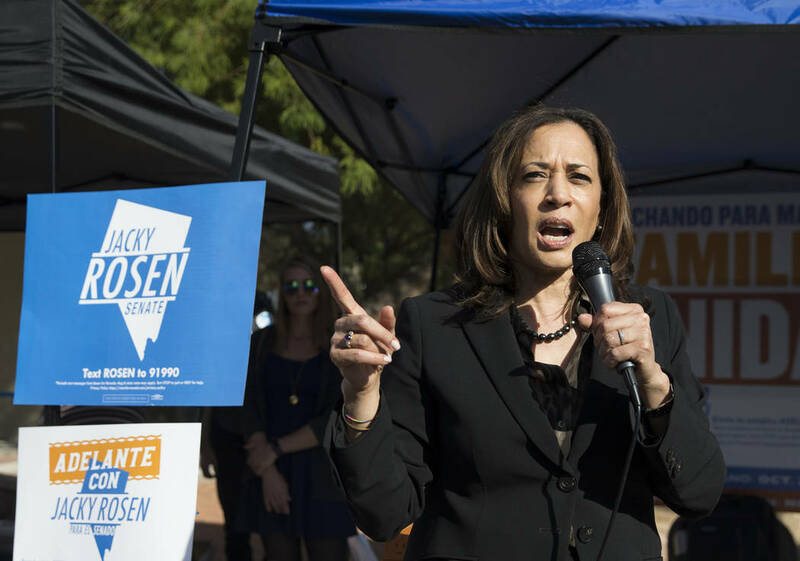 Harris will likely rely on busloads of activists and union volunteers coming from Northern California to Reno, and from Southern California to Las Vegas, for get-out-the-vote efforts. While Democratic senators receive the most attention, five House members are contemplating runs for president, including former U.S. Rep. Beto O’Rourke, 46, whose support among millennials made him a strong second for a 2018 Senate seat in bright-red Texas. There are five Democratic governors considering the race, most noteworthy being former Colorado governor John Hickenlooper and Washington Governor Jay Inslee. Hickenlooper is a moderate and successful businessman. Inslee has an angle: if he runs it would be as the climate change candidate. Never has anyone gone directly from mayor to the White House, but some may try, including former New York Mayor Michael Bloomberg. 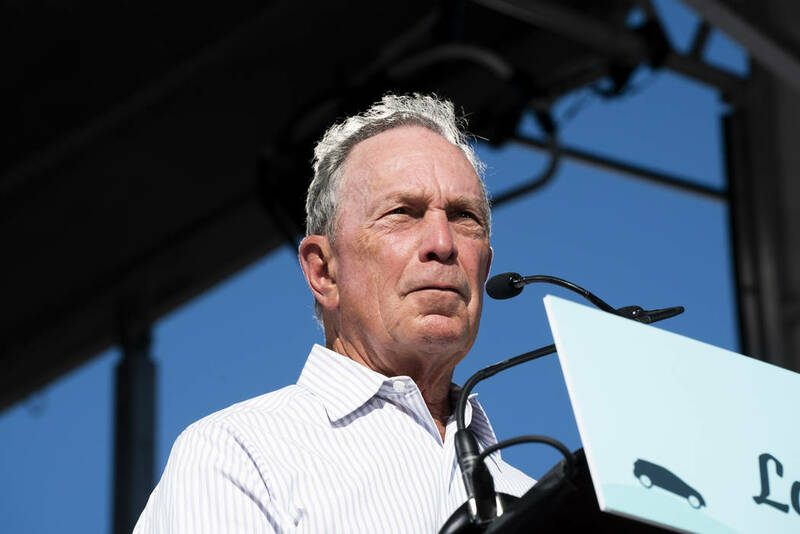 Bloomberg, 76, is the only one to rate top-tier status thanks to a famous name, ability to fund his own campaign and track record as an advocate for gun control. Even as a party switcher, Bloomberg could be a contender. Then there are the “could be” candidates—Michelle Obama, Hillary Clinton and Oprah Winfrey. While saying they are not running, each could make a run without a lengthy warm-up. Or, a billionaire like former Starbucks CEO Howard Schultz. The 2020 race has begun. Jim Hartman is an attorney residing in Genoa, Nevada.